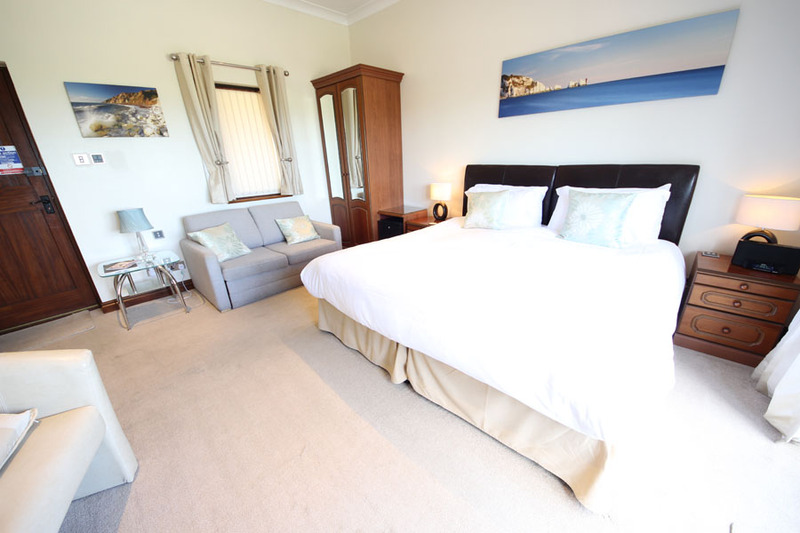 A fabulous stand-alone air-conditioned room, ideal if you want a room only and to eat out or for booking alongside our main apartments to accommodate extra friends or family members. This air-conditioned room makes an ideal addition to any of our other apartments to accommodate multi-generational groups or groups with two families (though please note that the minimum age of children if unaccompanied overnight by an adult in this room is 16). It is also great if you just want a bed for the night but will be sampling brunch and dinner at the numerous fabulous eating places on the Island. Just to be clear, this room has no self catering facilities of its own other than a kettle and mini-bar style fridge. We have an arrangement where you can get breakfast at the nearby Wight Mouse Inn. 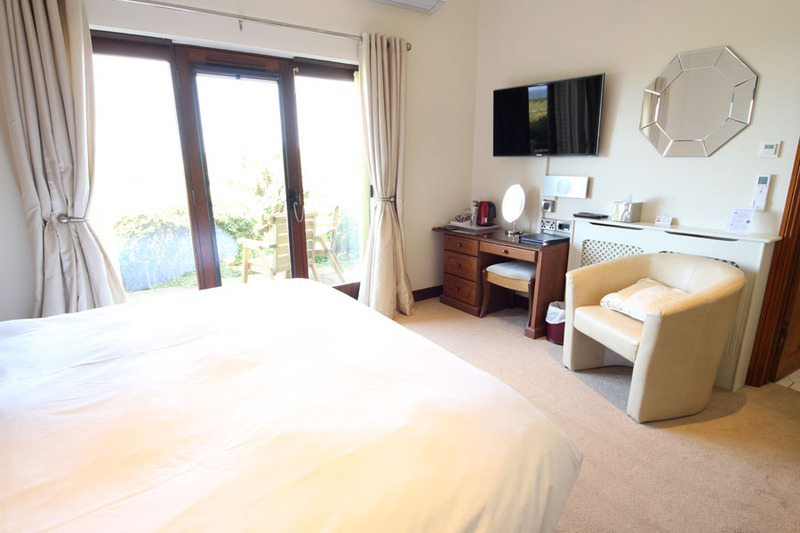 This Deluxe Double Room has a super-king-size double bed with Egyptian cotton bedding, leather armchair and plenty of wardrobe and drawer space. 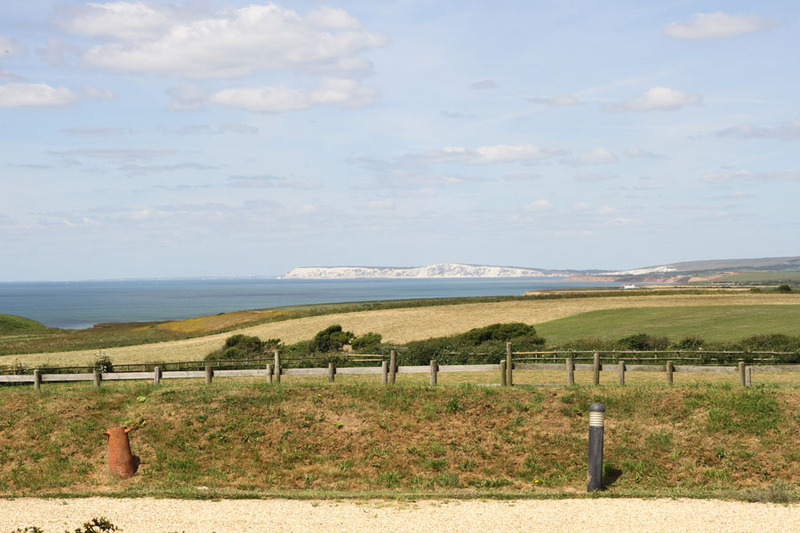 The French windows look onto the personal patio with two chairs and stunning views over the countryside and down the coast towards Tennyson Down and the Needles. The bed may be configured as two single beds providing that this request is made at time of booking and at least a week ahead of your stay. 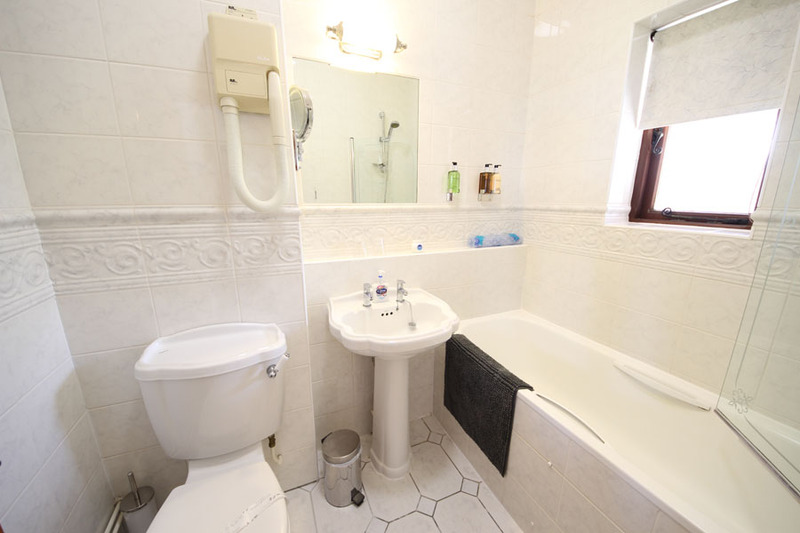 The bathroom is ensuite and includes a full size bath with powerful shower, heated towel rail and hair dryer. There is also a handheld hairdryer in a dressing table drawer. The 40" HD 3D satellite/internet connected TV has hundreds of Freesat channels and there is also a Samsung Smart 3D Blu-Ray Player with support for iPlayer, YouTube, and popular streaming services. To wake you up in time to make the most of your day there is a DAB/FM radio/alarm clock. For additional security there is a safe which is large enough to accommodate most laptops. All specifications are accurate at the time of writing but subject to minor alterations from time to time. Sorry but we are unable to provide baby bedding or bedding for additional beds.